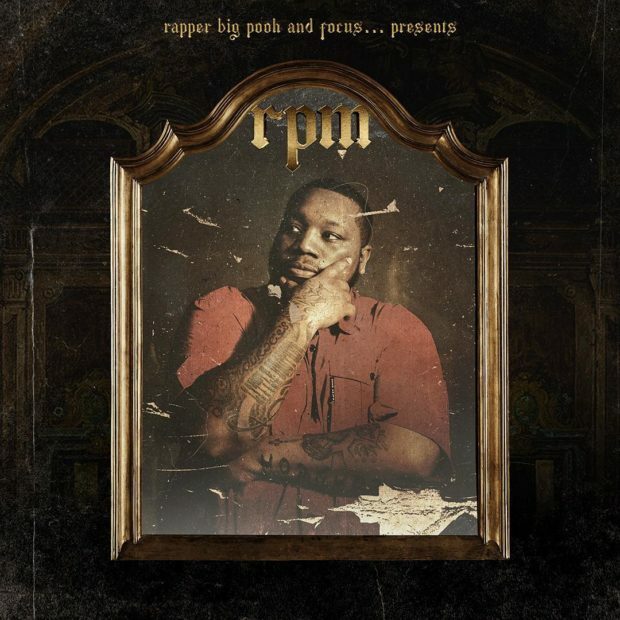 Review: Rapper Big Pooh & Focus... Gel Smoothly On "RPM"
Little Brother may be long over but Rapper Big Pooh is far from done. He’s proven that once again by teaming up with Focus… for their joint LP, RPM. The album takes it back to the fundamentals sonically while Pooh pushes himself forward lyrically. RPM is aptly named. The project holds an organic feel both content-wise and rhythmically. Focus… laces several tracks with subdued basslines and raw drums to back Pooh’s assertive delivery and cypher-esque quips like, “Wannabe Zach Morris’s when they all Screech” on “Burn.” Pooh’s rhymes, however, carry much more weight than a witty one-liner. He is equal-parts introspective and externally aware, and listening to him navigate through life and the world is no less engaging than it was during his Little Brother days. “Check 1ne” and “Check 2wo” serve as a two-part declaration of hunger restored and confidence regained. The former sounds straight out of A Tribe Called Quest as Pooh proclaims he was “Baptized in the rhythm section/Strategized ain’t no intersectin’/Who work this hard just to finish second?” Focus… ups the ante on the latter with thick drums and cool woodwinds as he promises “I will never doubt myself again.” Rapper Big Pooh’s ability to vocalize confidence without chest-thumping sets him apart from his sophomoric peers and stamps RPM both formidable and mature. It’s not all about Pooh, though. He remains conscious of the world’s problems in a manner both enlightening and engaging. “Burn” decries societal ills as Pooh hearkens to the late Christopher Wallace’s message on “Mo Money Mo Problems”: “Biggie tried to warn us, all we heard was a jam that we could dance to.” However, he keeps himself in check on “Roses” for not slowing down enough to enjoy appreciate life, and his self-awareness keeps his preachy raps from sounding self-righteous. This is right out of the Little Brother handbook but still sounds fresh in 2018. The album’s strength is also a detriment. RPM emanates the vibes of an after-hours joint or intimate underground club. However, the brevity of the songs that lends to this feeling also keeps the cuts from being as impactful if they had a longer duration. By the time the listener settles into 129-second “Follow the Leader,” the song is half over. Conversely, “City of Ink,” with its walloping drums, soulfully NYC-like cries and 3:22 run-time, is just large enough for Pooh to work with. “Niggas set you up, look at Martin, look at Malcolm/Screamin’ in the Audubon, pointing in the balcony/Leave your people picking up the pieces, no apathy,” paints vivid imagery that reminds us what Pooh is capable of when he has room to maneuver. Regardless, the album’s musical concept is still more of a positive than a negative. Pooh’s rhymes, backed by Focus’ sturdy sonics, are as engrossing as ever. The rejuvenated veteran and his partner on the boards can chalk up a win with this album. RPM is grown-man rap that still packs a punch.